While I don't entirely agree 100% with his methods of delivering facts, or even some of his assertions, I have a pretty positive view of Michael Moore and find his films incredibly thought provoking and wildly entertaining at the same time. 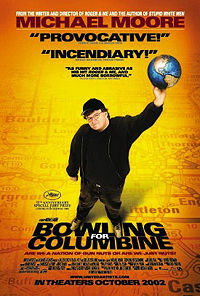 I can remember going with the whole of my year 10 English class to see Bowling for Columbine at the Lido Cinemas on Orchard Road in Singapore, and later seeing Fahrenheit 9/11… twice. ASIDE: I’ve probably permanently lost half my American readers with the admission that I like Michael Moore. I’m tempted to say that the better half have stayed, but that would dig me down even deeper so for the sake of preserving my own life I think I’ll just leave it right there. I like Mike! Anyway it seems Mighty Mike (no I'm not talking about our state premier Mike Rann!) may have the goods, but his site administrators are stuck in a Web 1.0 mindset. Heavens almighty how I hate the "Web 2.0" moniker! In a tip of the hat to my presence, Jim Kloss from Whole Wheat Radio has stated including some nerdier links in his Google Reader weblog and pointed me to the fact that MichaelMoore.com… doesn't even have an RSS feed! Come on Mike, you're nerdy readers need this! Even Fox News has RSS feeds! Taximetre plus SG$50.00! Where to? And why don't we have pink taxis? In Adelaide they're all white (get it… they're all white? They're all right? Right? 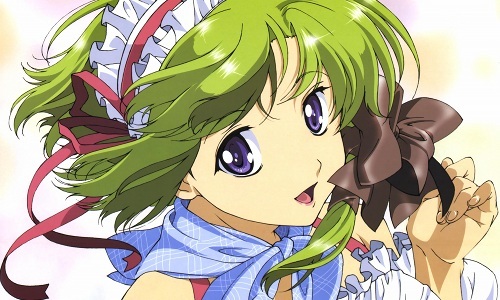 White? Oh come on, that was funny! ), in Singapore they're mostly yellow and blue with a few reds and teals, why not pink? Think of it, you could paint a really cute anime character on the side, hire cute people in ridiculous cosplay costumes to drive… I know I (as well as other desperately lonely nerds) would pay a huge premium for such a service! You could even update the nerds who would want to travel in such a taxi by creating an RSS feed that contains the locations of the entire fleet at any given time! It would work perfectly! RSS, Jim Kloss, Atom, Betamax, Pink, Google, Michael Moore, Shuffle, Whole Wheat Radio, Plan 9, Bowling for Fahrenheits on Shaw Road in Orchard Theater… come on people it makes perfect sense! Newer post ← Ever wondered what a new airliner door looks like?